I have put together a list of what I believe to be the best sports movies of all time. This is a labor of love to pass on to my children and their children so that they can follow the history of sports in movies and thus, to some extent, sports itself. Like the reference to baseball in the movie, this is true of all sports. 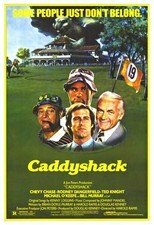 As you look through the various best-sports-movies.com lists, I’m sure you will not agree with my picks or even my reasoning for ranking the movies as I have. I have given you the opportunity to share your selections in the section called My List. Take this chance to share your best sports movies with others. The first sports movie I can remember seeing was the Babe Ruth Story starring William Bendix. I loved the movie and especially enjoyed how the Babe could throw a curve ball through a hole in a pane of glass without causing further damage to the window. I would watch it over and over again at every chance I got. But as I look back at it now, it was pretty cheesy by today’s standards. I think we expect more of the truth about our heroes then we did in the 50’s. The remake, The Babe starring John Goodman, most likely gives a more accurate portrayal of the "Sultan of Swat". You will find the Top 100 best sports movies of all time listed here. I have also listed my favorites by the categories of baseball, football, boxing and other miscellaneous sports. If you don’t know the name of a particular movie but do know who was in it, you can go to the actors in sports movies section and find an alphabetical list of the actors. You will also see a section called Fun Stuff in which I have placed such things as: famous sports movie quotes, sports movie trivia and some sports movie clips from you-tube. I am sure the Fun Stuff section will bring a smile to your face. Lastly, I welcome your comments and encourage you to submit a review or list your favorite sports movies in My List. My dad introduced sports to me and my two brothers at an early age and I am forever thankful that sports have been a part of my life. I have passed it down to my four children and two stepsons and I am now seeing them pass it to my grandchildren. I hope that you get as much enjoyment from these pages as I have in putting them together. I will also tell you that this has been a collaborative effort. I have assembled an outstanding group of writers and sports enthusiasts to bring you reviews and critiques of the movies. As you view the various movies and sections of this site you will be introduced to them. Top 100 sports movies of all time. The best sports movies ever made and ranked from 1 to 100. 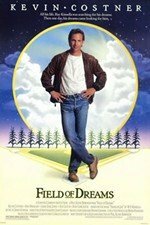 Our favorite baseball movies ready for your review. Our list of the best football movies, as in, American football. From the corny to the inspirational you'll find all the boxing movies listed here. From hockey to horseracing, see how they're ranked. Who's your guess for most appearances in a sports movie? Check it out here, you may be surprised. Tragic events that went into the making of sports movies. From the Marx brothers to the Bad News Bears, be sure to take a look around. After listening to hundreds of soundtracks and thousands of songs from the best sports movies, I have ranked what I believe to be the only such list on the internet. Ranked and listed because of their impact, beauty and color as related to the content and theme of the sports movies they depict. Such things as: famous sports movie quotes, sports movie trivia and some sports movie clips. And does anybody really know "Who's on first?" Let us know what's on your mind by contacting us using the form provided. Want to let the world know what your Top 10 best sports movies are? Do it here!